With its jams, Scyavuru has resumed the tradition that goes back to Roman times of boiling the fruit together with honey, to preserve its goodness for a long time. 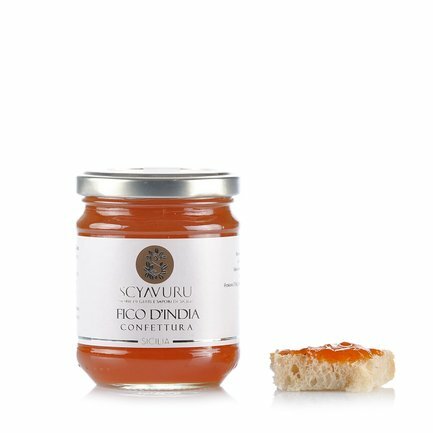 Using the same method, and replacing the honey with sugar, this Sicilian company makes delicious fruit preserves that make it possible to enjoy the goodness of the best ingredients all year long. 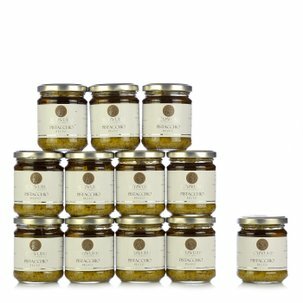 In particular, the black fig jam is a jar full of the natural sweetness of this fruit of Mexican origin, but very widespread in Sicily, where it is used in many recipes that come from the local gastronomic tradition. Ingredients Prickly pear, Sugar, Gelling agent (Pectin), Acidity regulator (citric acid). For more information on product labels, please contact our Customer Service department. The information on the labels of the products may vary for reasons beyond our control, therefore, there may be discrepancies between the information on the site and that on the products delivered. Please always check the information on the product before consumption or use. 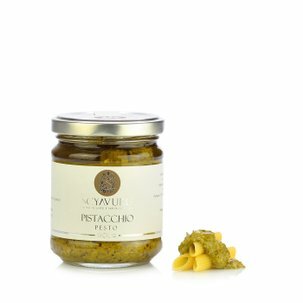 The Scyavuru farms were founded based on their Sicilian passion for the land and its fruits, love for an invaluable cultural heritage and attention to the oldest traditions. Scyavuru is in fact a term that in Sicilian dialect means fragrance, perfume. The best products come from the company's laboratory of flavours, trying to abolish the greatest number of steps in the distribution chain in order to offer consumers the freshness of a genuine food produced in harmony with nature. Their recipes are those from the most ancient tradition, in combination with a constant passion for innovation that makes it possible to satisfy also the most modern palates.